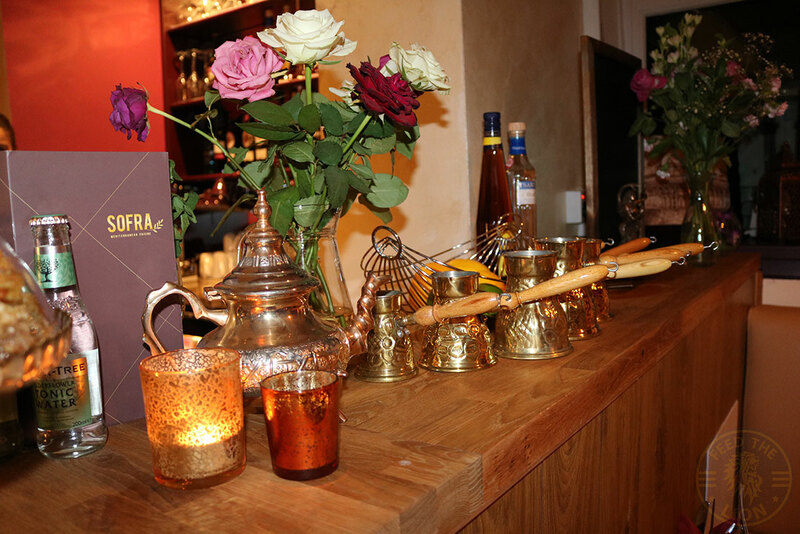 Having been the first to bring Sofra to your attention when it first opened earlier this year in Manchester, we’re now the first to bring you an exciting new review. 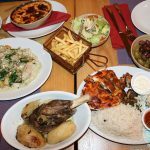 Except for the ‘Stifado’ dish, that’s cooked with alcohol, this Mediterranean restaurant’s menu is otherwise fully Halal, though alcohol is served on the premises. 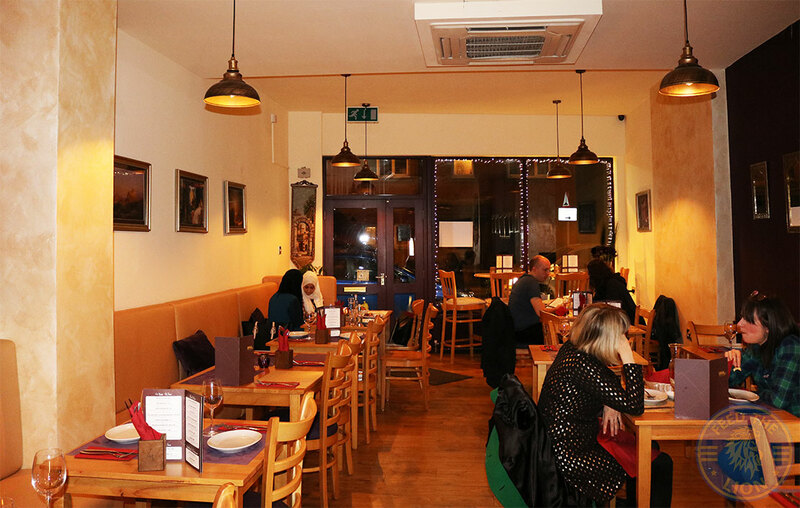 Located in West Didsbury’s Burton Road, their cuisine is predominantly eastern Mediterranean in nature, with Greek and Lebanese classics. 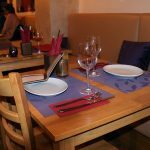 As such, while many of their dishes are naturally vegetarian and vegan anyway, they also have plenty of gluten-free options. 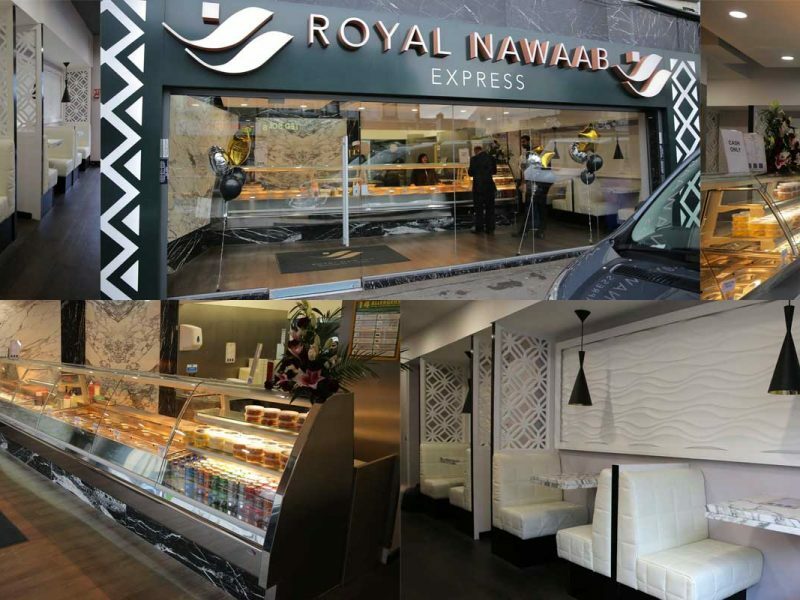 Warmly lit and simply decorated, this 65-cover restaurant has an Arabian touch to it, with unique ornaments and wall art exquisitely standing out in various corners of the venue. 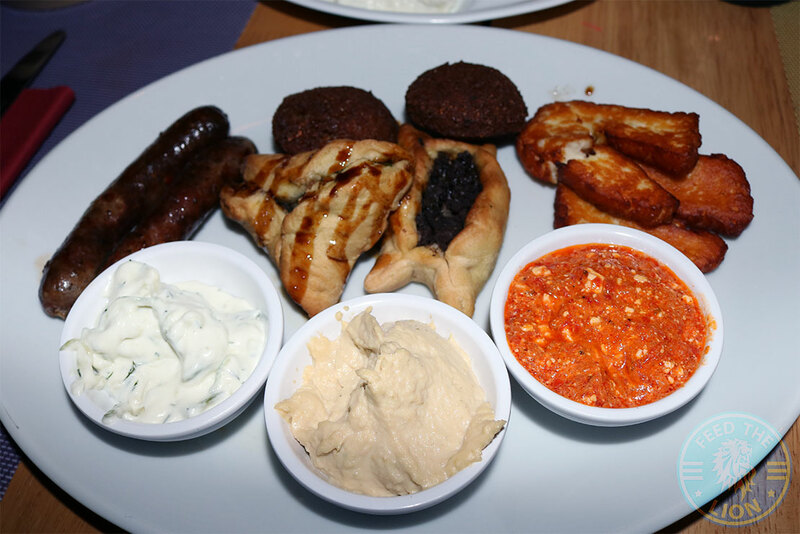 This Cold Mezze Platter was a mixture of four different dips accompanied by pitta bread. Starting off with the classic Greek yogurt dip, the Tzatziki, this was a light and appetising choice made was from cucumber, garlic and dill. 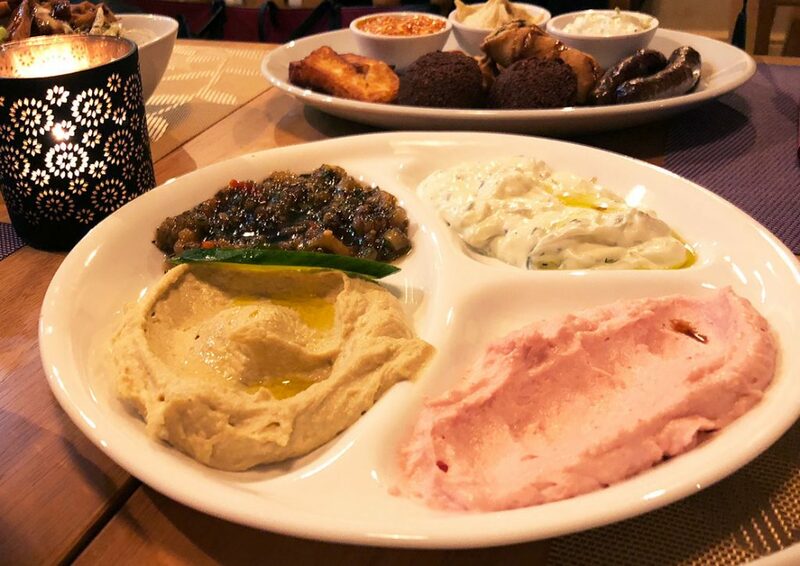 And you can’t go wrong with a smooth and well made Hummus, as this was, which would be perfect either as a starter or paired with most dishes. Sadly, the Baba Ganoush didn’t quite do it for us. We felt it lacked the distinctness of what makes a good Baba Ganoush, which ought to be smokey, with the aubergine having depth of flavour and good texture. Instead, this was rather sour and not very well blended. Perhaps some Tahini sauce would have made the difference here. Unfortunately, we all found the Taramasalata, a cod roe dip with onion and lemon, to be far too fishy, particularly in relation to the more delicate flavours of the other dips. 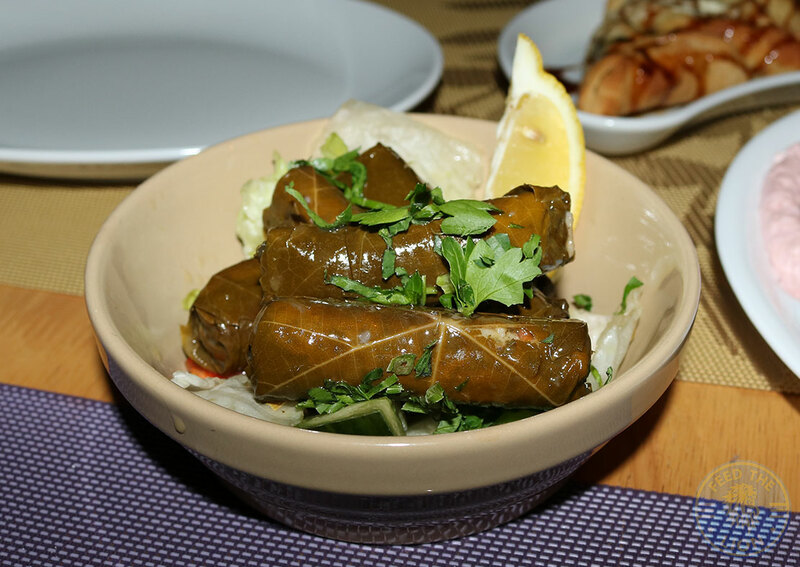 These Dolmades, or vine leaves stu­ffed with rice and traditional herbs, were superb! With a great balance of flavours and being neither too sour nor too bitter as some can be, they were fresh-tasting, and, thus, an absolute must for the table! 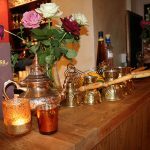 For the Hot Mezze Platter for two, you’ll get Falafel, Baby Lamb Sausages, Fatayer and grilled Halloumi cheese. 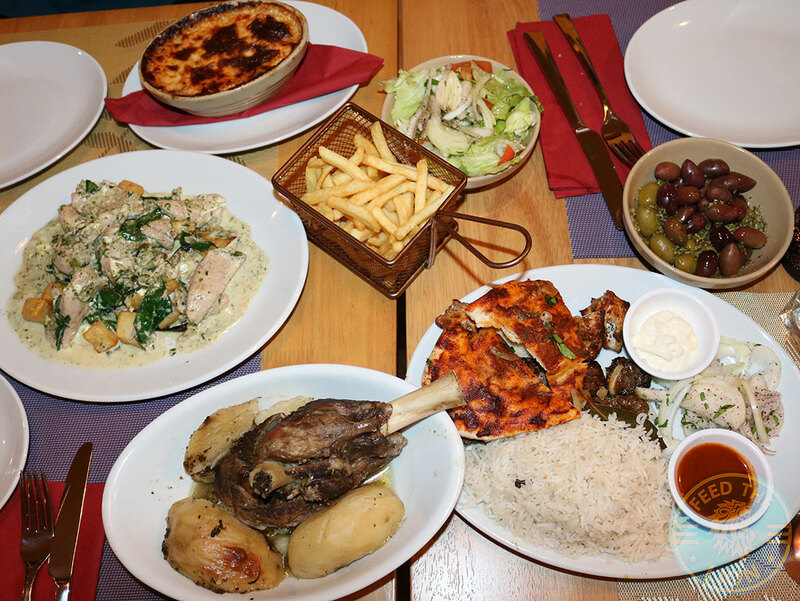 And what we received was a great mix to nibble on, with the grilled halloumi serving as a nice, soft cheesy bite, and the baby lamb sausages being well spiced while having a nice flavour to them. 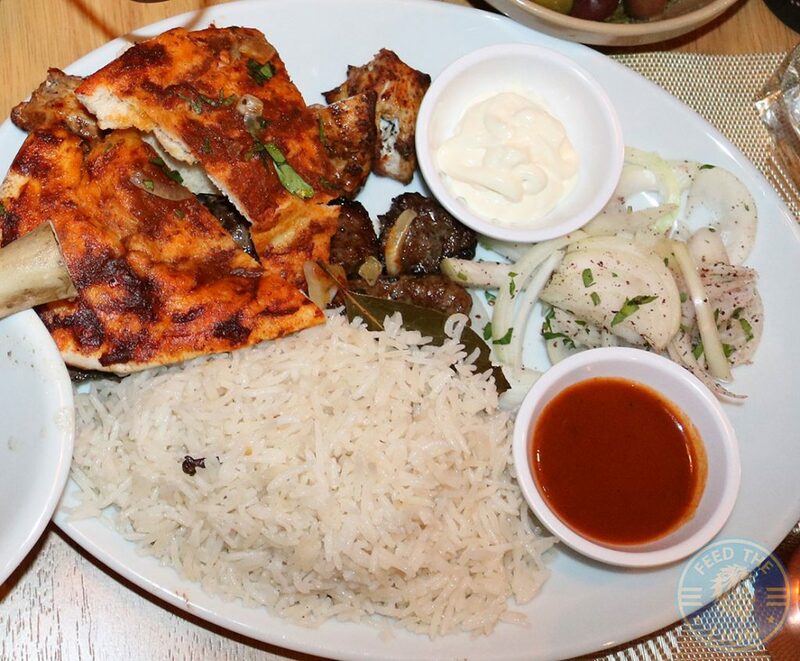 This platter was served with excellent dips too that added that extra dimension. 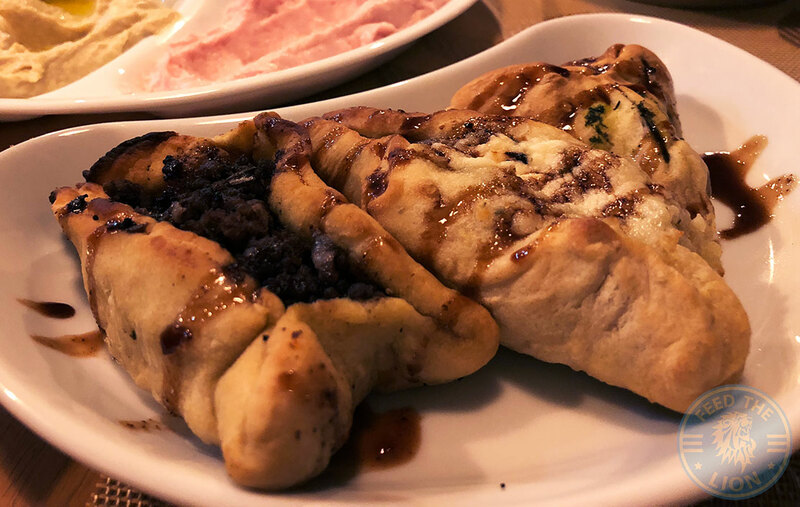 As for the Fatayer, which also comes as part of the above platter, then these turned out to be disappointing. Not only were they quite dry, but overly dense. We were expecting the pastry to be soft and crumbly in texture. What’s more, some of the ingredients weren’t as flavorous as we would have expected. We’ve had better! 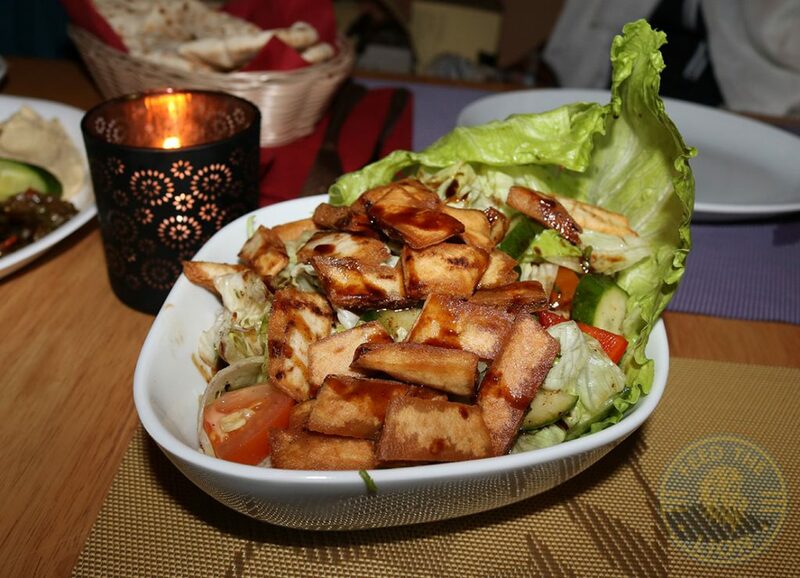 A perfectly made Fatoush which, with a pomegranate dressing that assured a perfect kick of the sweet and sour, was full of flavour. Couple that with the crispy fried croutons, which provided some textural contrast, and this made for a refreshing salad. The Chicken Spinach was definitely the highlight of the mains. 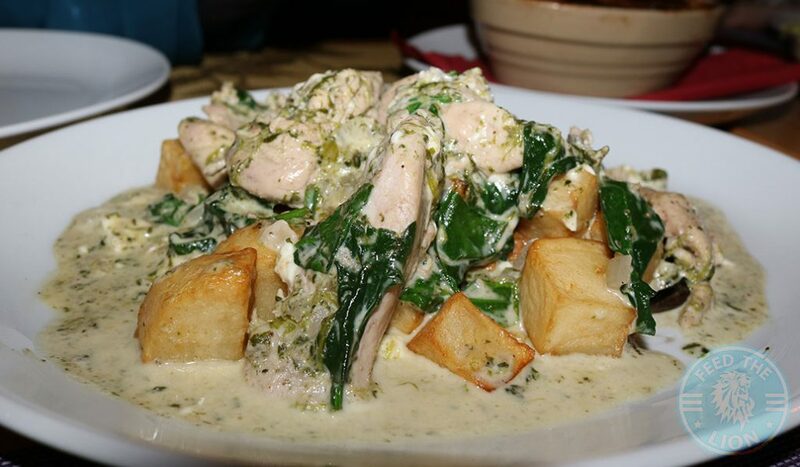 It consisted of well-cooked pieces of chicken fillet covered in a rich, creamy white sauce along with soft cubes of fried potatoes and sautéed spinach. Although the chicken lacked some flavour, the salty feta cheese compensated somewhat. And despite not being paired with a side, adding a portion of the Mediterranean rice went very well with this. 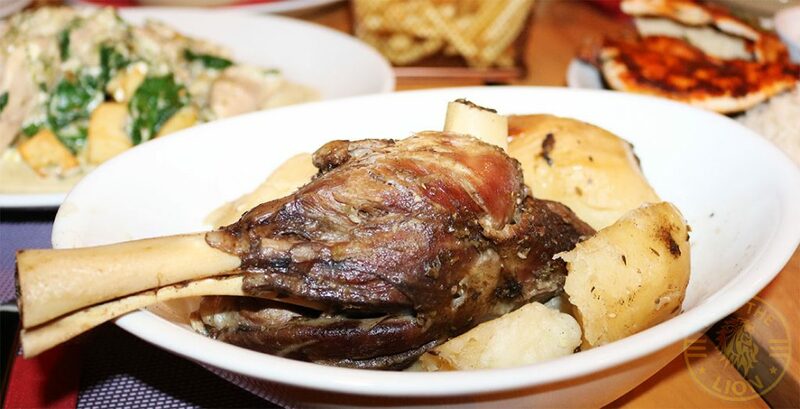 A rusticly presented Kleftiko Lamb shank that consisted of a typically large, meaty cut from the lower end of the leg, and served in a large bowl alongside bulky potatoes. The lamb was quite tender, easily coming off the bone, and went nicely with the Sunday roast-style potatoes that were slightly crispy on the outside, and soft and fluffy on the in. The only downside to this dish overall, and a major one at that, was, yet again, its flavour, or lack thereof. In light of the rich and extensive availability of Mediterranean spices, this dish just lacked that spark so well known from that region of the world. 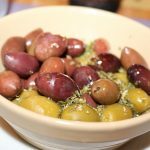 As such, you may want to add the ‘Olive side’ to this dish, which comprised of a good mix of red and green tangy olives. 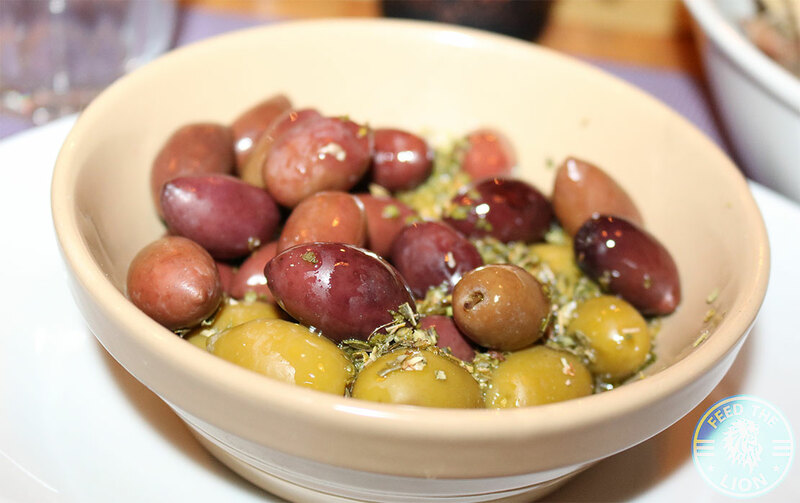 Another Greek classic and one which turned out to be our favourite on the evening. Made up of even layers of potatoes, a rich minced meat sauce, large fried aubergines, and béchamel sauce, cutting through this delightful Moussaka and getting to taste an array of flavours and textures, ranging from the kick of the herbs and spices therein to the creamy béchamel and potatoes mixture, was mesmerising. 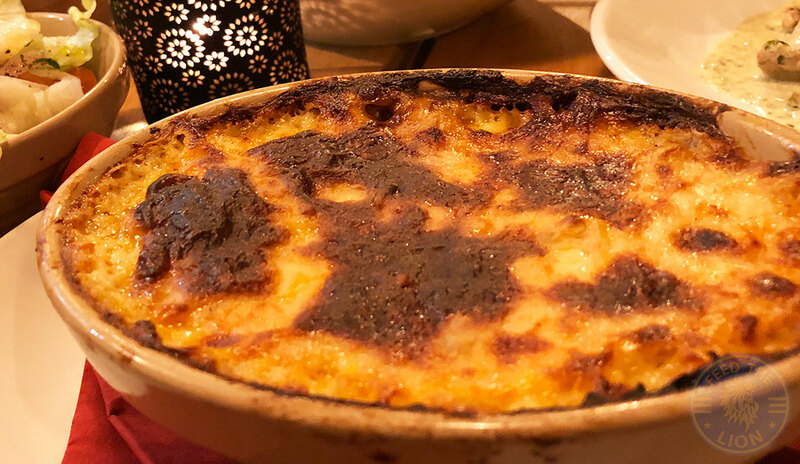 Think of this as a cross between a lasagne and a Shepherd’s pie, with an Arabian twist! From their grilled selection, we opted for the Sofra Mixed Grill, which consisted of skewers of Kofta, Shish Kebab and Shish Taouk. The kofta skewers were moist and bursting with flavour and spice, while the cubes of shish kebab were also very well cooked and chewy. On the other hand, the shish taouk, or chicken cubes, were on the dry side. Also included was a good portion of Mediterranean rice, which tasted phenomenal. All the rice grains were evenly cooked through, with a hint of cardamom to them. 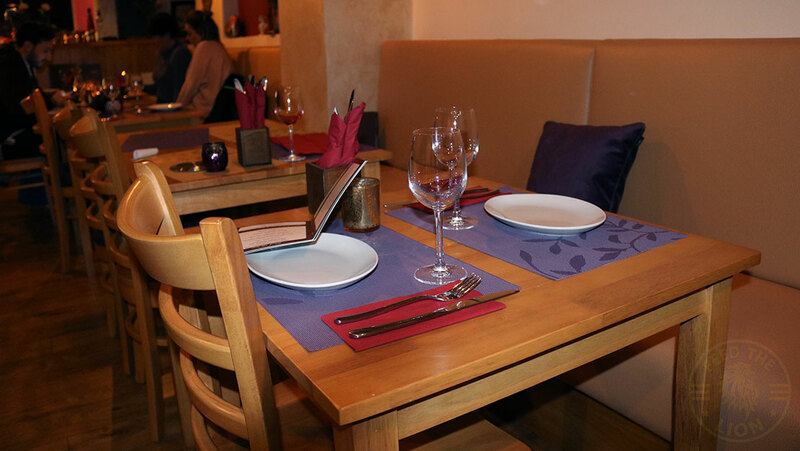 Overall a well-rounded dish that gave you a taste of all the meaty selections this restaurant has to offer. And to end a pleasant evening, you won’t go wrong with indulging yourself in a portion of baklava, especially when they’re this good. It’s very easy to slip up and completely ruin the texture and flavour of this traditional treat. However, this was baked to absolute perfection being neither too sweet nor sickly in nature! 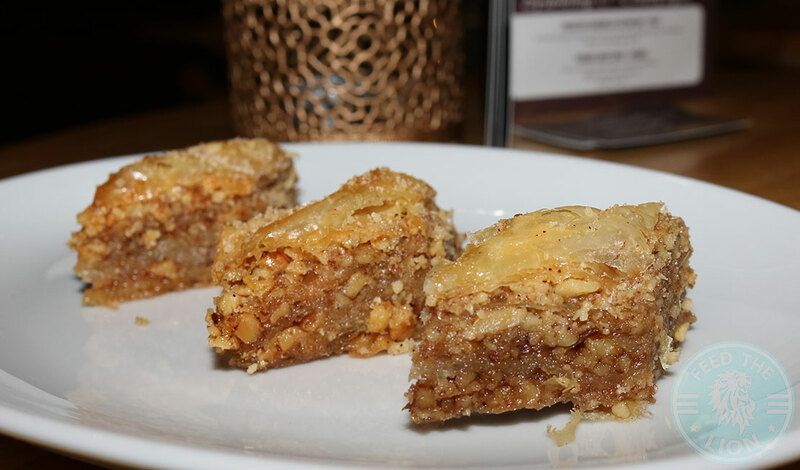 The fine layers of crispy, buttery filo pastry, with crushed crunchy walnuts and drizzled with a sweet syrup, had a gorgeous melt-in-the-mouth quality. Other options for dessert include the ‘sofra cheesecake’, ‘guilt free Greek yogurt’ and ‘ice cream’. 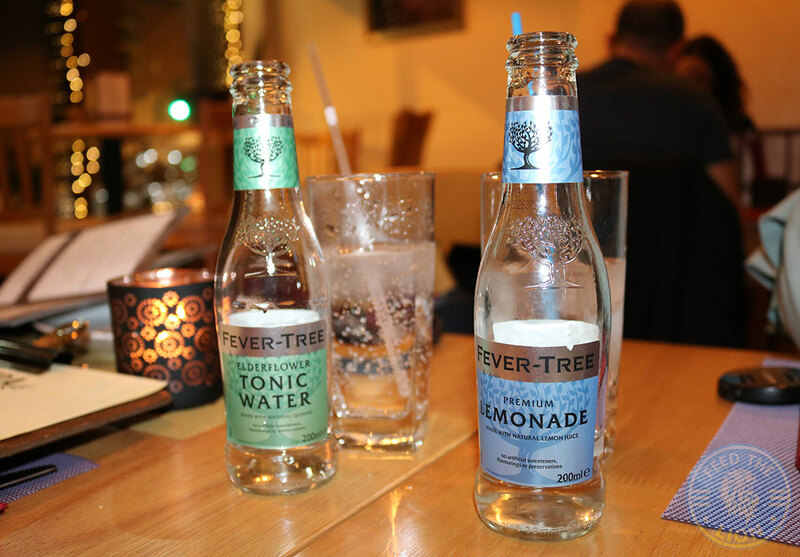 The above bottles, which looked like miniature versions given their small size, were essentially, much to our disappointment, the only non-alcoholic drinks available. Be that as it may, the Elderflower Tonic Water came across as bitter and quite flavourless. Since this was tonic water, don’t expect anything more than barely a hint of elderflower. As for the Lemonade, then it was typical lemonade, nothing more, nothing less. 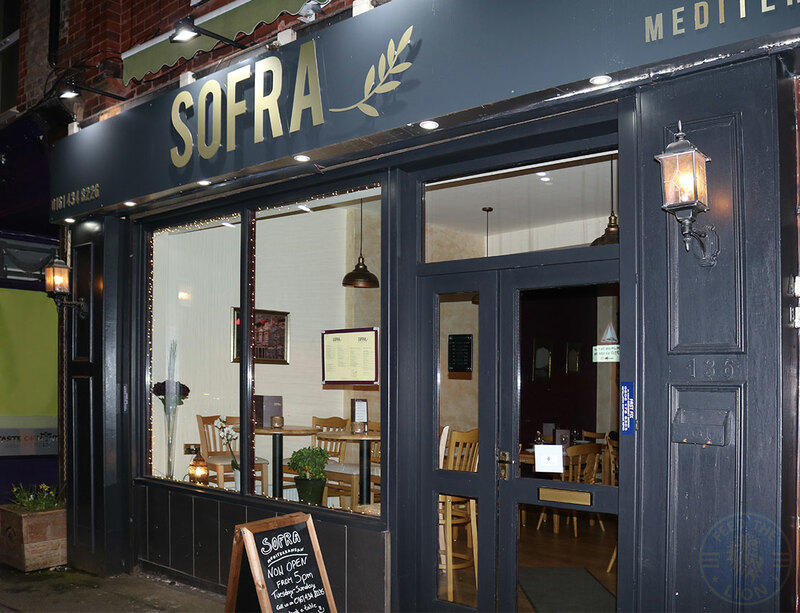 Having only opened earlier this year in January, Sofra's Mediterranean cuisine most certainly has potential and is, thus, a welcome addition to the heart of West Didsbury. 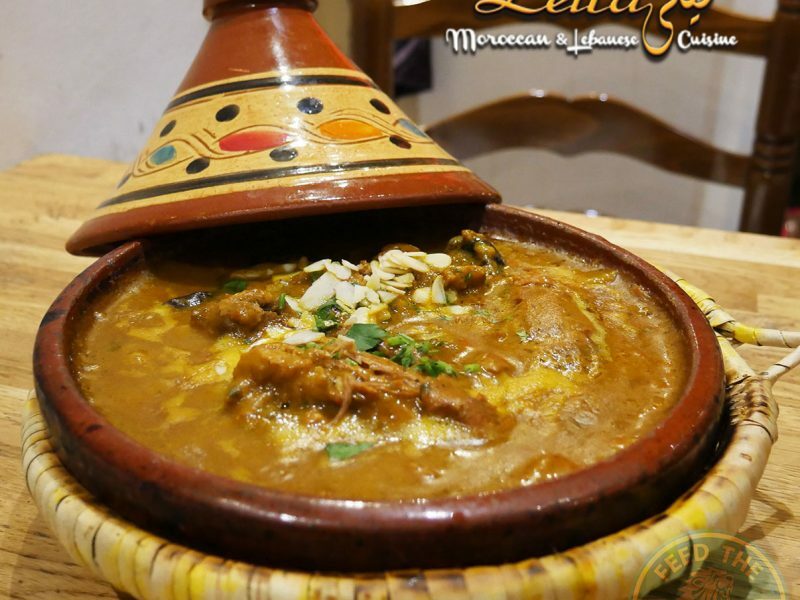 Aside from the 'Stifado’ dish, which contains alcohol, the rest of the food menu is entirely Halal, with alcohol served on the premises. There were a number of dishes that really impressed by successfully capturing those rich flavours so distinct of the region. Nevertheless, there's still plenty of room for improvement which, in light of what we've experienced, is only a matter of time. We were left quite disappointed, however, by the clear lack of non-alcoholic beverages, despite an extensive drinks menu. Instead, the only thing on offer were small bottles of uninspiring drinks. It's also worth noting that since the kitchen closes an hour before the scheduled closure, be sure to get your orders in beforehand to avoid disappointment.